(Bridgewater, N.J., Feb. 1, 2017) – The Somerset Patriots have announced the signing of utility-player Olmo Rosario for the 2017 season. Rosario enters his first season with the Somerset Patriots and third in the Atlantic League. He spent 2013 and parts of 2014 with the Lancaster Barnstormers. In 2013, he hit .287 with 13 home runs, 74 RBI and 11 stolen bases with Lancaster. Rosario also led the league in games played (137), finished second in the league in doubles (37) and was selected to the Atlantic League All-Star Game that season. 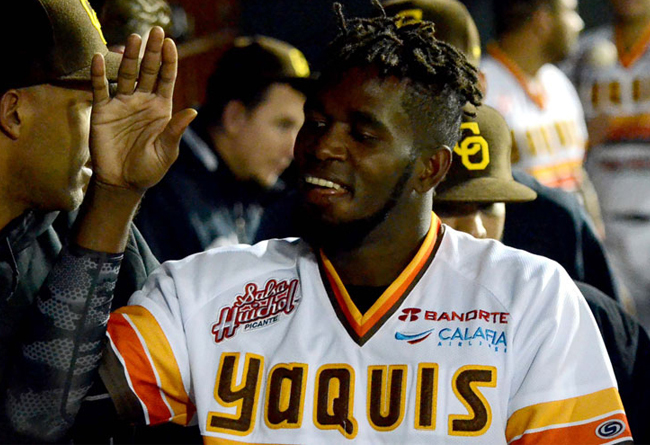 The San Cristobal, Dominican Republic native has spent the past three seasons in the Mexican League, splitting time between Tabasco (2014), Montclova (2015) and Tijuana (2016). Last year with Tijuana, Rosario batted .313 with six home runs, 73 RBI and 18 stolen bases over 109 games. Combined, Rosario has hit .324 with 30 home runs, 197 RBI and 35 stolen bases over 331 games in his three years in Mexico. Rosario has hit for a high average everywhere he has been throughout his career. In eight of his 12 professional seasons, he has hit above .300. That includes finishing second in batting in both the Frontier League in 2005 with the Rockford Riverhawks (.373) and the Can-Am League in 2007 with the Nashua Pride (.362). Defensively, Rosario has played a number of different positions throughout his career. Of his 1,140 career games, the natural third baseman has made over 100 appearances at second base, third base, shortstop and in the outfield. Rosario owns a career .313 batting average with 103 home runs, 649 RBI and 144 stolen bases over his 12-year career.